Custom soft giraffe key tags allow you to corner the competition with its towering plush design. This CPSIA compliant key tag is appreciated by the animal lovers as well as businesses, which possess giraffe mascots. There is exactly no limitation, if you consider this plush tag as a gifting item. Perfect for mass gifting because we offer attractive discounts on wholesale orders. You can avail free X-small t-shirt with each order. 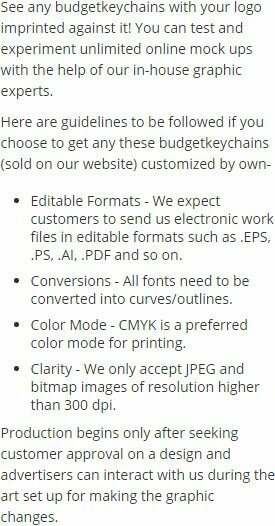 Save on online design proof because its prices are included. 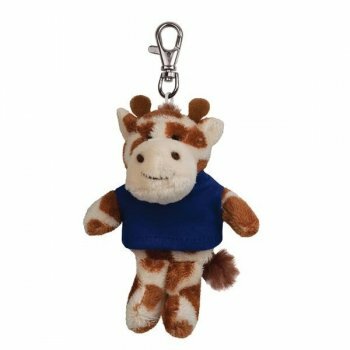 Request a quote to know wholesale savings for these customized soft giraffe key tags.